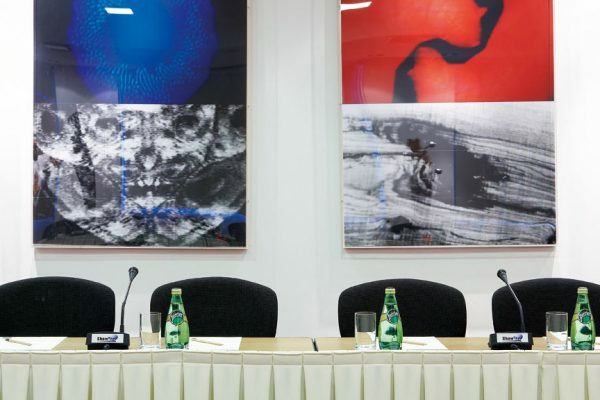 Welcome to the cultural center of Macedonia! 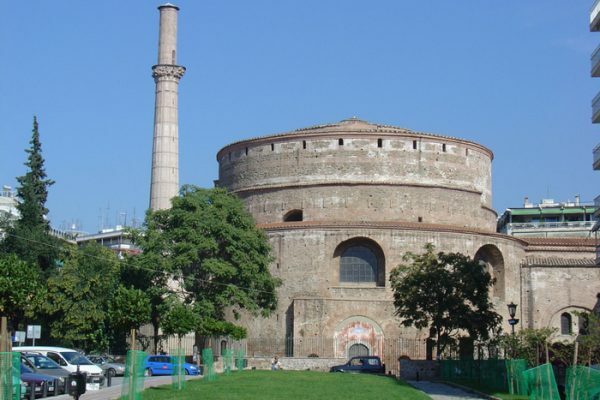 Thessaloniki is the second largest city in Greece and a regional economic center with an active trading port, significant industrial activity and the largest academic and research community in the country. The stormy history and cosmopolitan character give the city its special beauty and unique charm. A vibrant modern metropolis on the North Aegean, renowned for its hospitality and carefree lifestyle. 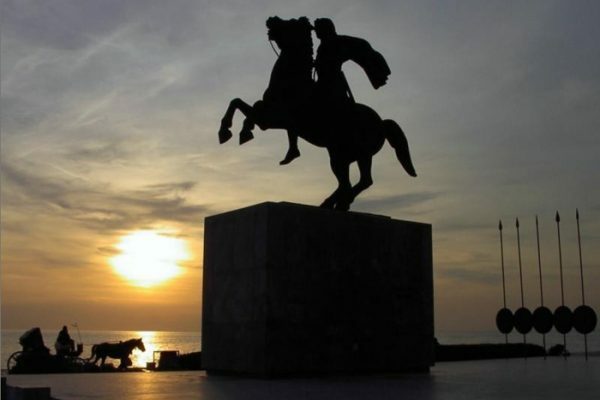 Thessaloniki offers a wide range of attractions, ancient Greek, Roman, Byzantine and Ottoman monuments, exhibitions, galleries with their unique exhibits and an active cultural scene that still pioneers. Thessaloniki is a big stage for creative young people. 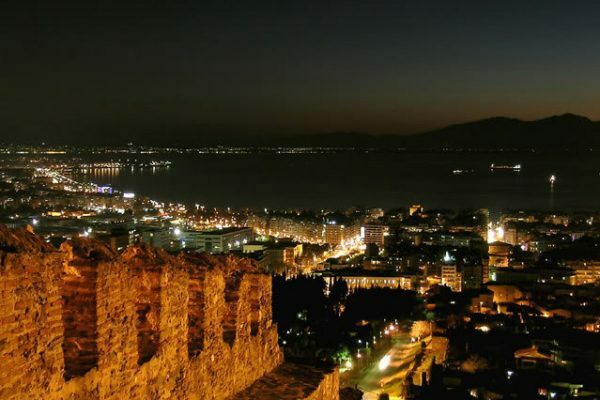 The city hosts the Thessaloniki International Fair, the International Film Festival and several other important institutions. The more than 2000 year old mix of cultures and influences from all corners of the world in the history of the city is also reflected in the kitchen. 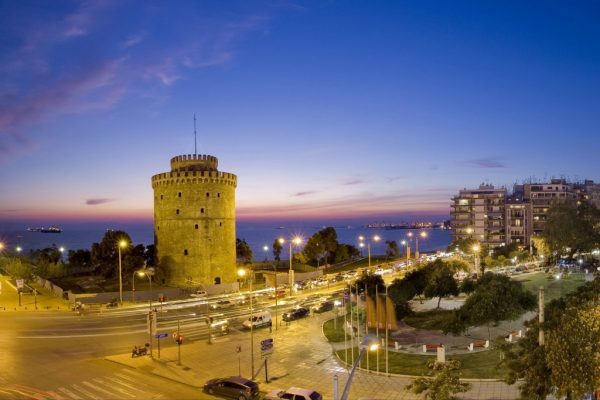 Thessaloniki may be the “second” city in Greece, but definitely it is the culinary capital of the country. 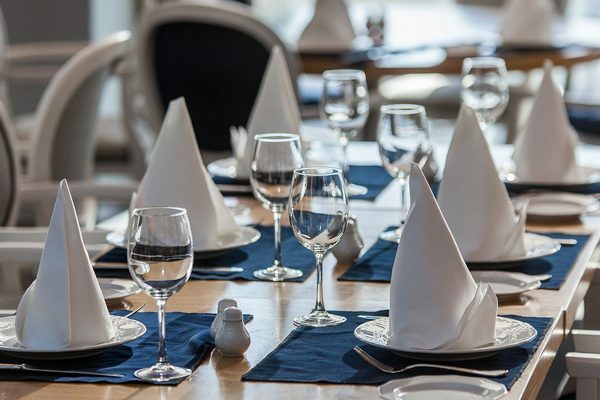 Whether in the city center or in the surrounding districts, the numerous restaurants and innovative gastronomy scene of the city offer gourmets culinary highlights for all senses and incomparable pleasures. Every Thessaloniki traveler will also find a scenic paradise right on their doorstep, as the city is an ideal base from which to explore Northern Greece. Whether to the peninsula of Halkidiki, which is full of greenery and has some the most beautiful beaches and beach resorts in the country or the Olympus massif, the throne of Zeus and the ancient gods, or the mystical rock monasteries of Meteora, so many sites you should not miss. 58 airlines fly from Thessaloniki Makedonia International Airport to 141 destinations in 41 countries. The services to and from Europe include several destinations in the Middle East and some hub airports such as Amsterdam, Dusseldorf, Frankfurt and London Gatwick. The airport has regular connections to most Greek cities and islands and serves over 2.5 million passengers per year. 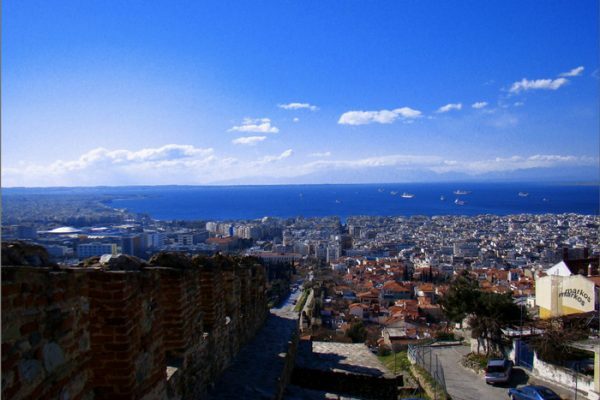 Thessaloniki offers a total of 7,500 rooms in 135 hotels of various categories. 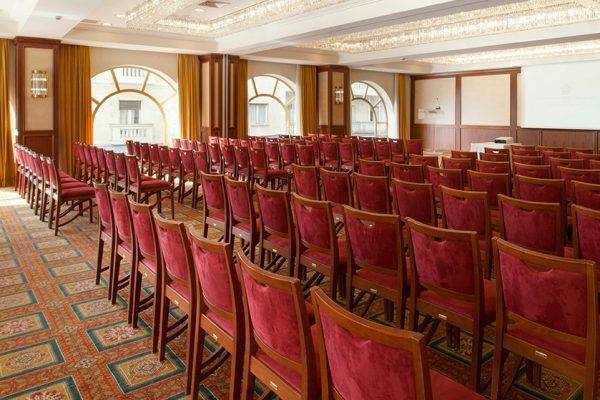 The 19 conference exhibition centers and the 39 hotels with meeting facilities offer the latest technology and high quality services. It’s a perfect MICE destination and a great experience for every visitor. 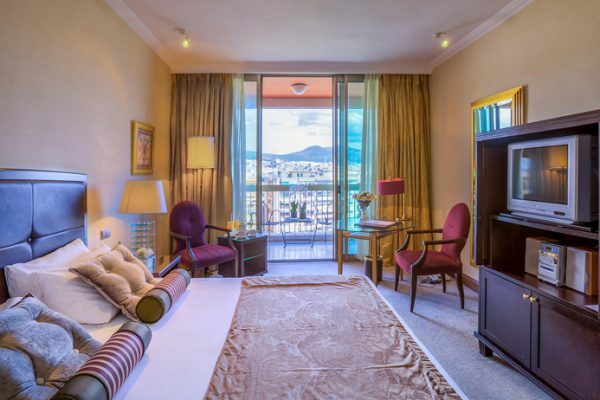 The Electra Palace is located at one of Greece’s most impressive city squares, the Aristotelous Square, overlooking the endless sea of the Thermaic Gulf. The noble neoclassical building is one of the city’s architectural gems and landmarks. 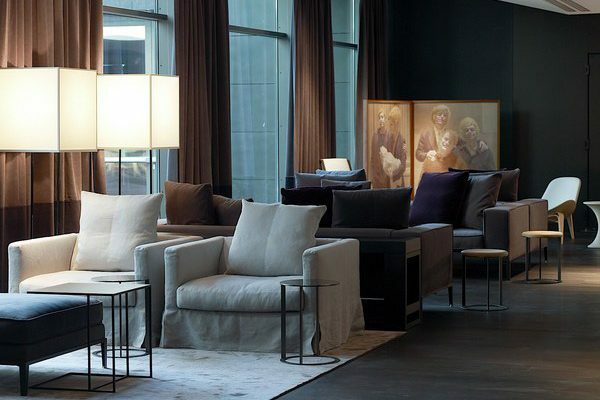 This imposing 5-star hotel is a true rarity featuring noble furniture, luxurious details and generous amenities. 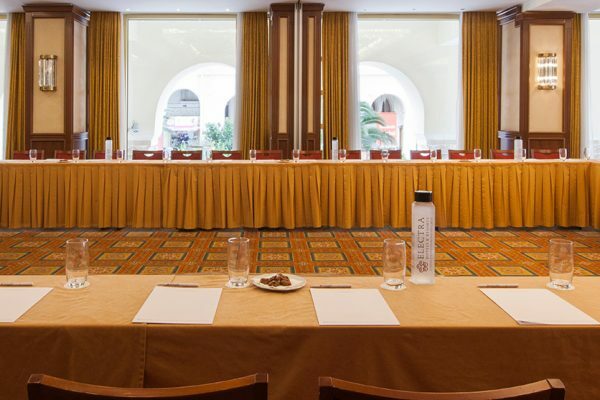 The bright conference rooms of the Electra Palace with their state-of-the-art facilities are ideal for large business meetings or social events. Discover from here the rich cultural scene and the lively center of this bustling city. Enjoy the breathtaking views that expand from the sea to Mount Olympus, the home of the Greek gods. 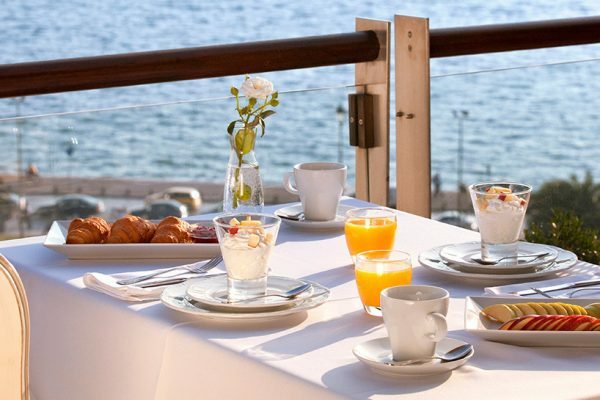 The hotel is conveniently located in the new harbor district, one of the liveliest areas of the city, and close to the city center. It is an ideal choice for business and leisure travelers boasting 212 attractive rooms and suites, an elegant yet relaxed gourmet restaurants and bars, 13 meeting rooms with state-of-the-art conference technology, a world-class spa, all characterized by outstanding services and attention to detail. 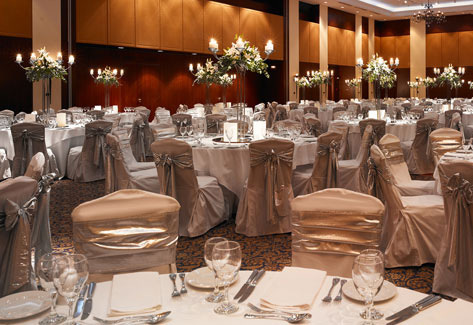 The hotel’s inspiring environment where functionality interacts with avant-garde art and innovative design is ideal for sophisticated events ranging from high-end business meetings to memorable social events and glamorous wedding receptions. 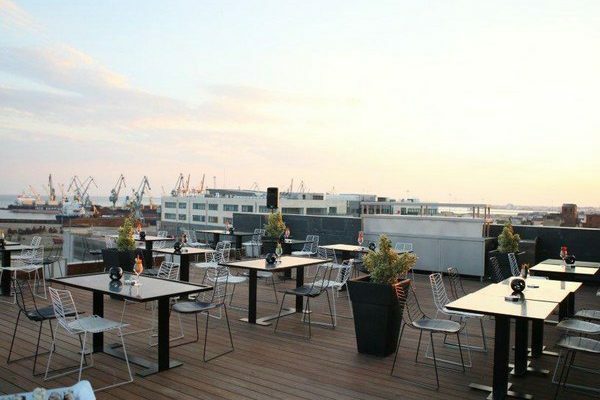 The trendy Sky Bar offers guests the chance to enjoy the breathtaking 360 ° view of Thessaloniki, best with a refreshing cocktail. 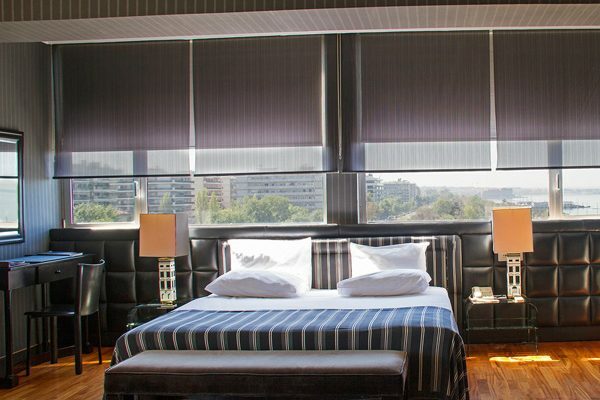 The Makedonia Palace is rightly considered to be one of the most important urban hotels in Northern Greece. 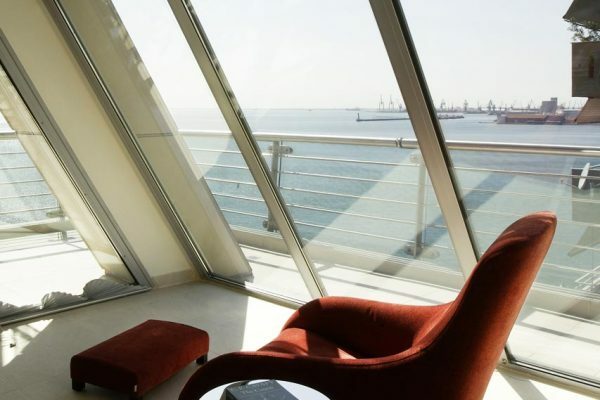 It is a modern landmark for the Thessaloniki waterfront and offers a direct view to the Thermaic Gulf. It’ s the place where every year in September, during the annual opening ceremony of the International Fair of Thessaloniki, the Greek Prime Minister is staying along with most of the Cabinet. The hotel counts many Greek and international celebrity guests, including Russian President Vladimir Putin, Chuck Norris, Faye Dunaway, Colin Farrell and Catherine Deneuve. 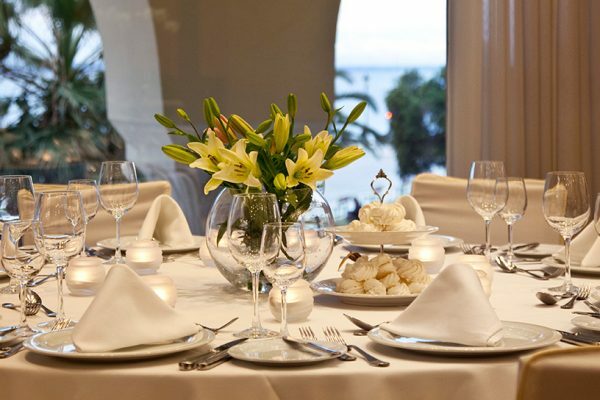 Makedonia Palace also sets standards in gastronomy. 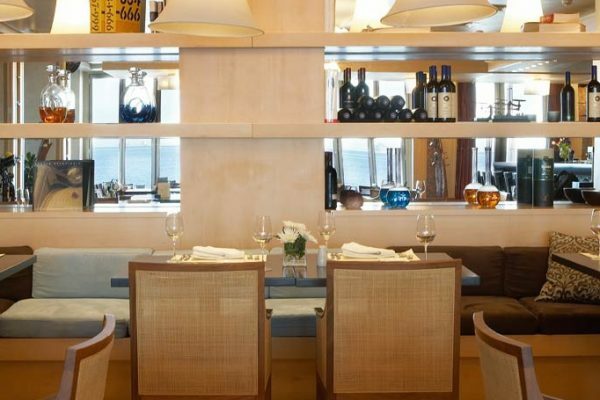 The award-winning chef, Sotiris Evangelou, creates unique dishes using authentic, local ingredients. 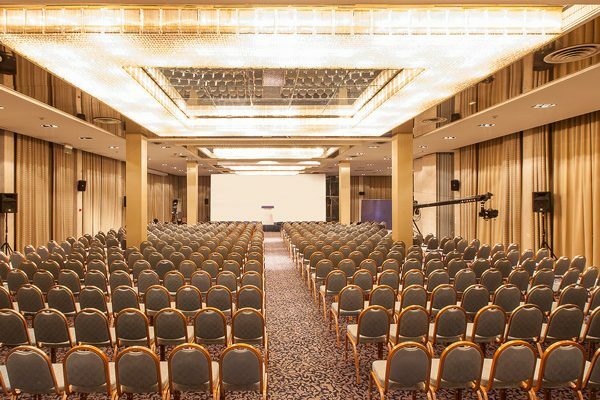 Luscious, attentive, and conveniently set close to Makedonia International Airport, this is one of the most luxurious and comfortable hospitality venues of Thessaloniki. 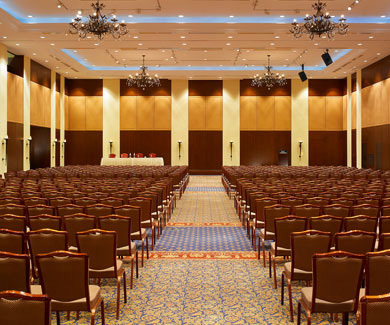 With 152 spacious rooms and suites, and the most extensive convention and banquet facilities in southeast Europe, Hyatt Regency is able to accommodate 1,050 guests and provide great value meeting packages and personalized catering services. 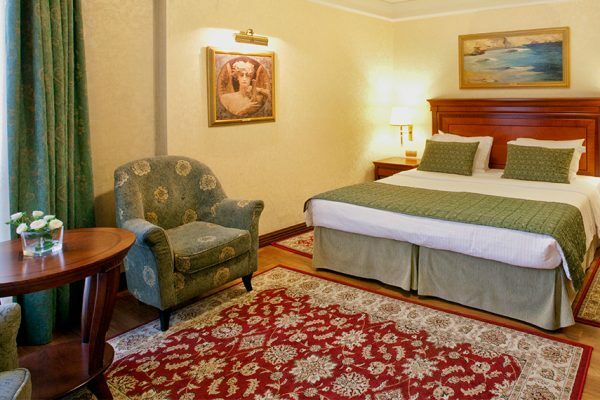 The hotel offers 49 impressive rooms and suites, furnished in Italian style, with spacious, high-quality common areas. 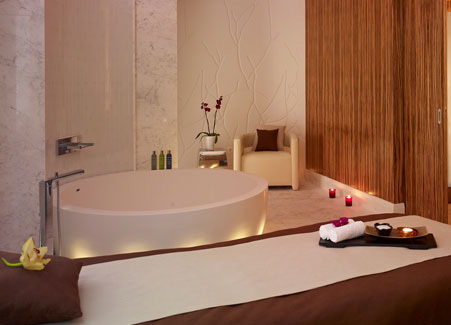 Sophisticated aesthetics go hand in hand with the outstanding service and high-end business facilities. 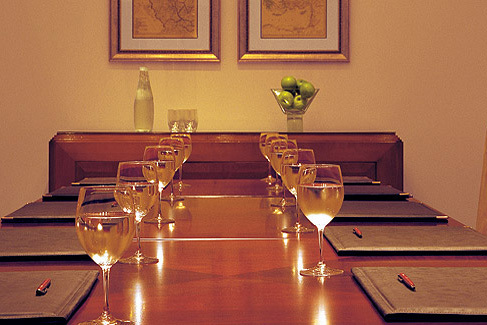 The Daios’ meeting rooms can host up to 120 people and are suitable for a variety of events.